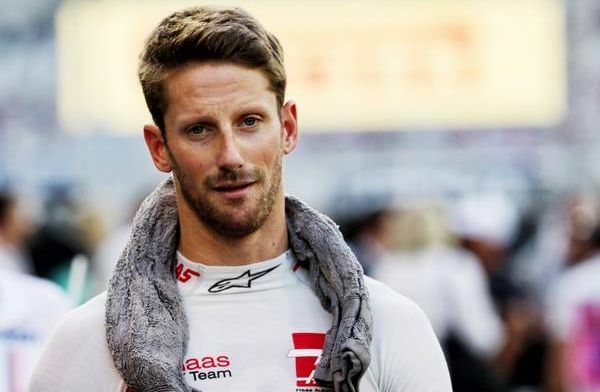 Magnussen believes Grosjean "faster than Button"
Kevin Magnussen believes his team-mate Romain Grosjean is arguably his best ever team-mate in Formula 1. The Haas driver has also spoken about his pride in his personal performance throughout the 2018 season. Haas looks like a perfect match for Magnussen, after tricky previous spells at McLaren and Renault - but it's not without its difficulties. "We are still a young team on a steep learning curve," the Dane told BT Newspaper. "Perhaps we had a better car than we really expected. We were figthing in a higher weight class than the one we belonged to. But it's a luxury problem that shows how much talent and potential the team has." His team-mate Grosjean had a difficult start to the 2018 season, but fought his way back and finished the season on a high. "Romain came back after a difficult period and it might have seemed like I took a step backwards," Magnussen continued. "But that was not the case. He had just returned to his highest level. "It is clear that with the update, Romain got a car that suited him very well. Overall, it was better, but unlike Romain I could drive the old one too. In fact, I have a hard time understanding that it made such a big difference to Romain." Magnussen made a case that his French team-mate is his best ever partner in F1. "If you look at the whole package - human, chemistry, laptimes and so on - Jenson is the best team-mate I've had. But there is no doubt that Romain is faster than Jenson," Magnussen claimed. "On one lap, Romain is exceptionally fast when it all goes well for him."